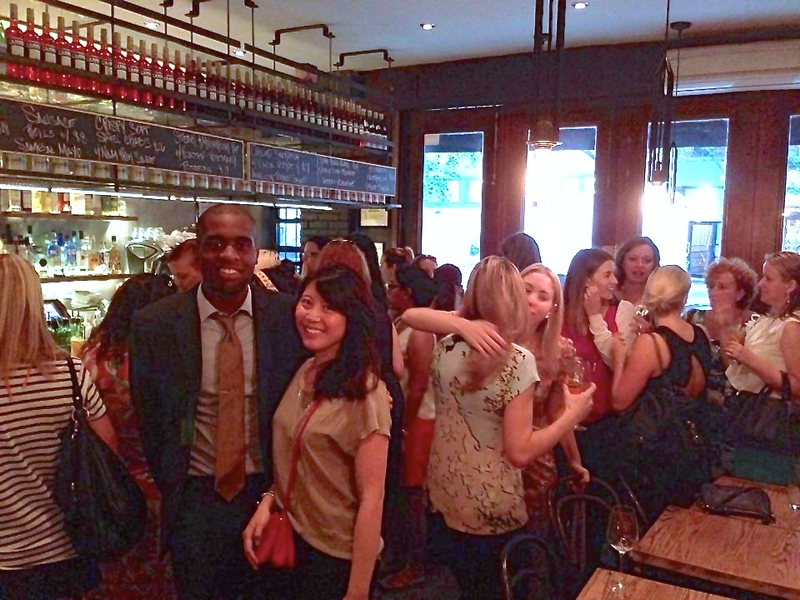 On Wednesday evening, Australian Women in New York (AWNY) members and friends met at the new Australian venue Flinders Lane, located in the East Village. The establishment adopts its name from Melbourne, Australia and has an atmosphere reflective of the city’s cutting edge and artistic culture. In true Melbourne form, Flinders Lane feels like one of the small laneway bars in the ‘grungy-chic’ city many Aussie hipsters often frequent and call home. The cuisine offered at Flinders Lane is largely reminiscent of Australia’s multicultural and diverse culture. The menu has been created with huge international influence and patrons are able to order dishes traditionally found in Asia, Greece, Britain and Italy, spicing up what could have been just another Aussie restaurant in Manhattan. The food ranges from a zesty, flavoursome Laksa to the humble sausage roll. AWNY members and friends enjoyed the wide variety of boutique cocktails on offer, created with precision and care by the talented bartenders. Special mention must go to the Pimm’s Cup made with Bundaberg Ginger Beer, a refreshingly tasty beverage for a summer evening. However, the most popular drink of the night was the Aperol Spritz with its understated, unique flavours enhanced by an infusion of olive and lemon garnishes. The bar opened its doors at 6pm and was packed to the rafters shortly after with a crowd of friendly, Aussie-accented women. All enjoyed the half priced drinks, air-conditioning and the opportunity to meet new people understanding of the challenges associated with expat life. 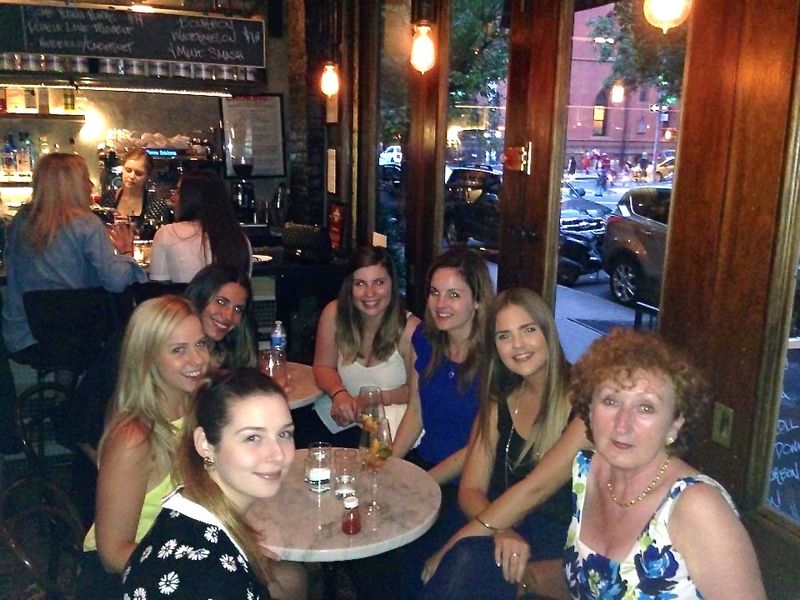 While New York is amazing with its eclectic mix of individuals, it’s still wonderful to have a drink with some lovely ladies from home, discuss shared experiences and of course, how much we miss Tim Tams. Definitely a venue that I will be returning to and will most likely run into another AWNY member there as this is surely one spot that helps with the pangs of homesickness.